I knew I wouldn’t be having a party on my 18th birthday so I asked my parents if it’s possible we celebrate it at least at Max’s Restaurant; they laughed at me. My father just gave me a few hundred bucks to shut me up. It did, but it still made me sad. I promised myself that when I finally start earning my own money I would celebrate my birthday every year. I started by organizing a party on my 27th birthday just to make up for a childhood frustration. Years passed and I have quickly lost interest in balloons, booze, and karaoke. Now I just want to travel and the tradition began just last year when I rented a small island to celebrate my 33rd birthday [Read: Sundang Island: Your Island for a Day]. This year, I wanted to do it alone so on the weekend after I hit 34, I took the bus that goes to La Union. 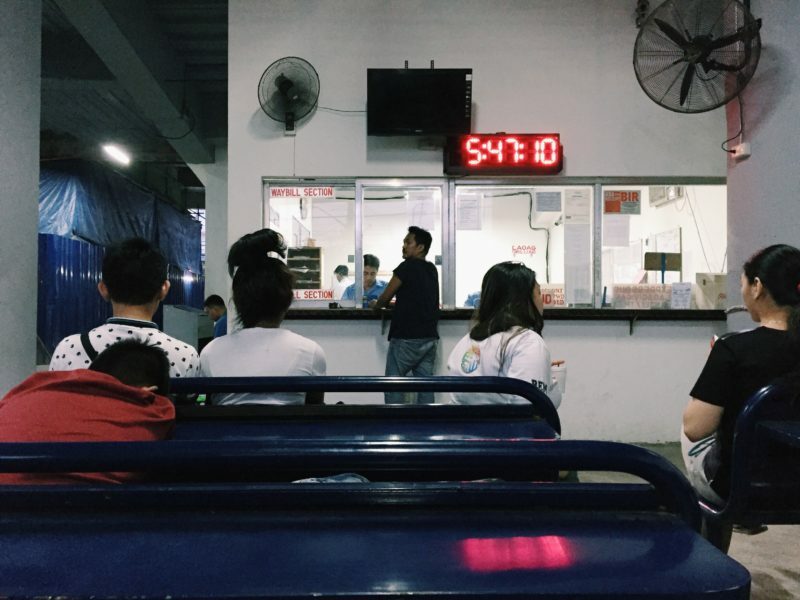 At around 6AM, I went to Partas bus terminal in Pasay and paid PHP 665 (USD 14.29) for a seat on a first class bus that goes to Laoag. The price gave me a mini heart attack considering the information that I got from my friend whose province is La Union. She told me that bus fare is only around 400 bucks. Later on, I realized she may be referring to Partas Cubao station, if that is the case then it would be understandably cheaper. 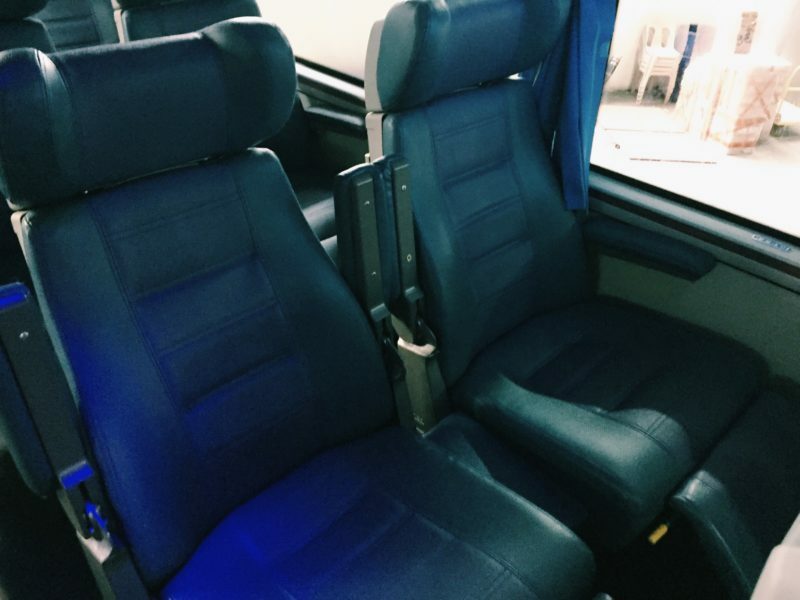 When I saw the layout of the seats inside the bus—the seat is big, comfortable, with wide leg space—it made me feel okay that I had to spend a little bit more. At least I got my money’s worth. The bus started moving at 6:42 and I was happy to be seated by the window because it made sleeping easier. Travel time took 6 hours with three rest stops. 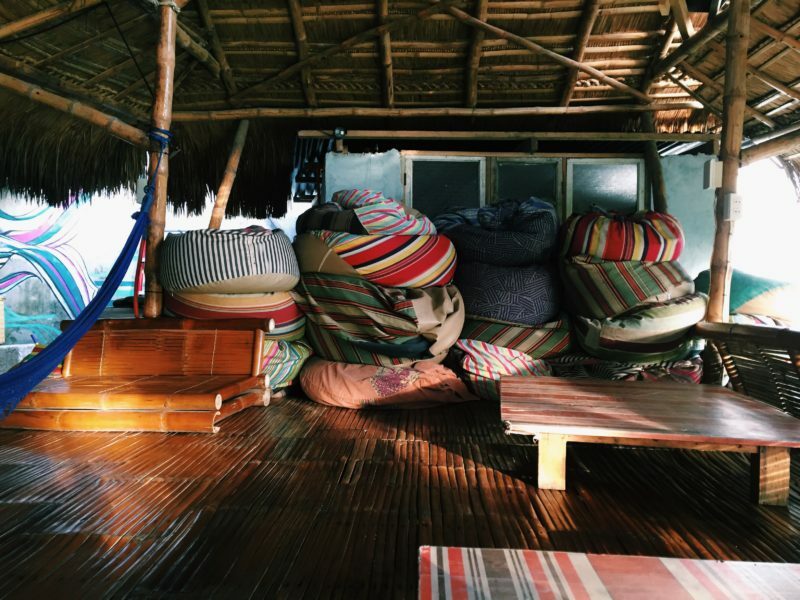 I booked an overnight stay at Flotsam and Jetsam, a hostel located at San Juan, La Union. You can see it on the side of the road along McArthur Highway. I assumed that the bus drivers know where it is based on some blog posts but it was not the case on the bus that I got on. Thankfully, my phone’s network (Globe) works well in San Juan so I was able to rely on Google Maps. I suggest that you use it if the driver or the conductor is not familiar with Flotsam and Jetsam, or you can look on the left side of the street when you reach San Juan. Just watch out for the Flotsam and Jetsam signage. 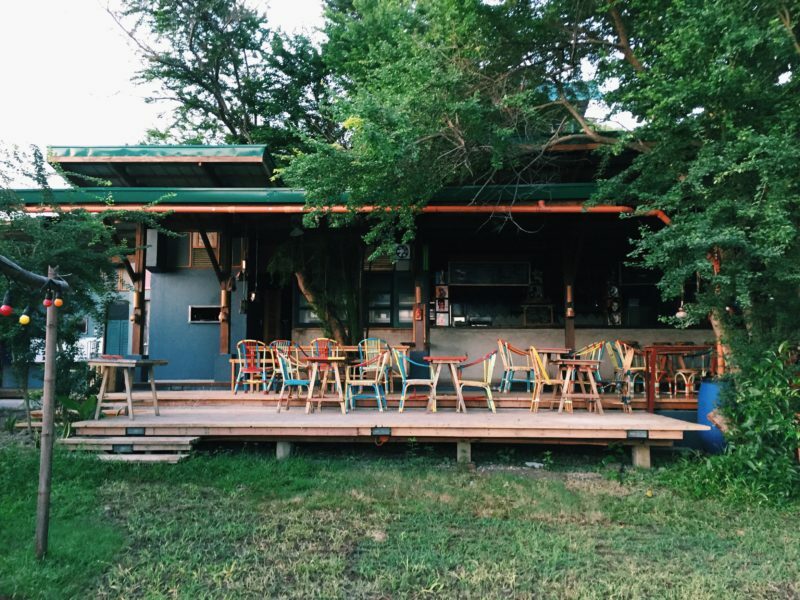 Flotsam and Jetsam is called an art hostel. Indeed there are some art pieces on display in their in-house resto, but to call it as such seems inappropriate to me. In my experience, party hostel is more a fitting description with all the noise that they made that Saturday night. This doesn’t mean I hated the hostel, well I won’t go as far as say that I loved it but it was okay. I liked the ambiance and that it is quite close to the beach. Going to La Union? Book here! Check-in time is 2PM, I was about an hour early so they told me that I could hang out and wait in their in-house restaurant. I did, I went ‘round the back and found the restaurant that faces the beach. 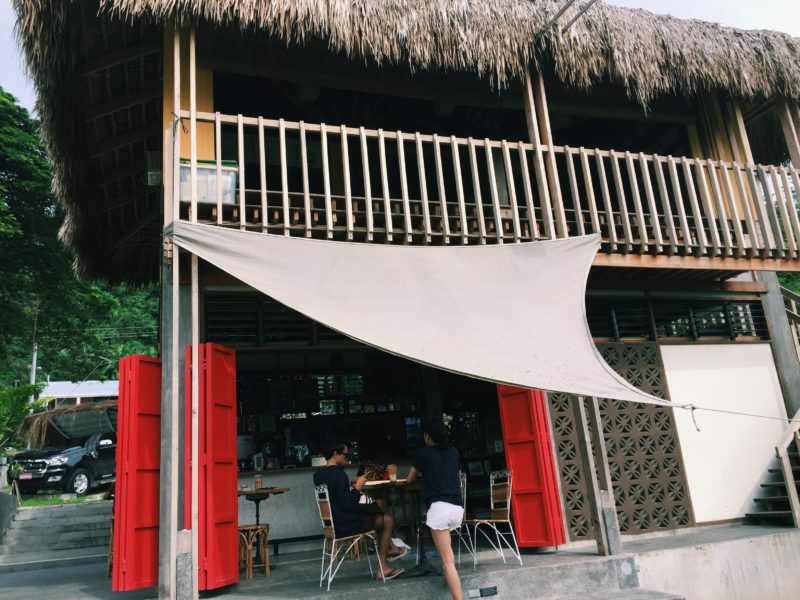 My friend who went to La Union recently met new friends and hang out a lot at Flotsam and Jetsam’s restaurant. He described the crowd as young and hip; the rich kids from the city. When I saw them I realized what he was talking about. They looked to be around in their teens or early 20s, with beautiful skin, and speaking either in English or Taglish. Most of them came in their own cars and they didn’t sleep in the kubo dorms but in the building with aircon rooms. 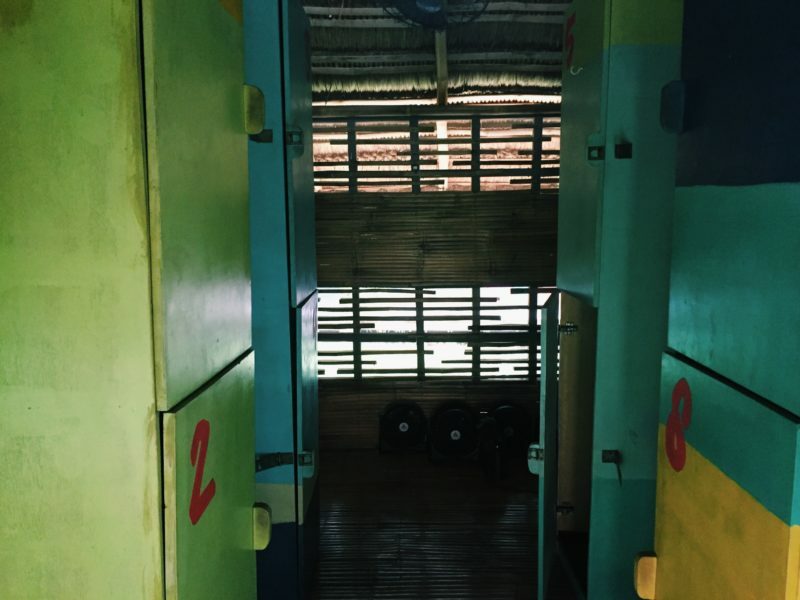 I stayed at the kubo dorm (PHP 780 – USD 16.76) that has four bunk beds. Towel is provided and there is also a locker where you can keep your personal belongings. Each bed has a pillow, a blanket, and a mosquito net. There are also some mini fans to use if it gets too hot. It was comfortable enough for me that the only thing that ruined my sleep was the noise coming from the party that night. 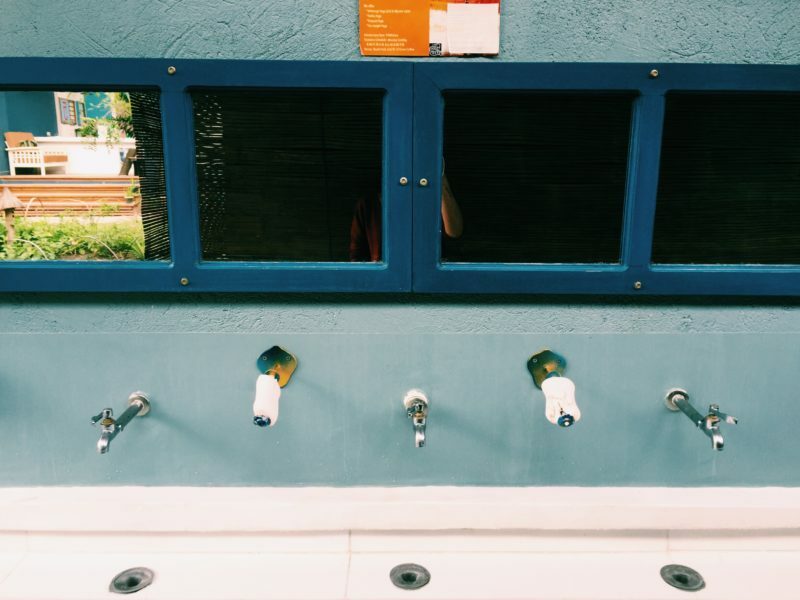 If you stay at the kubo dorm you can only use the shared bathroom and toilet. I didn’t mind because they were clean and spacious. You can buy from the reception for toiletries but I suggest that you just bring your own bath essentials to eliminate unnecessary expenses. There is free breakfast from 7-10 AM. It’s basically just coffee, banana, cereal with milk, and some toast or pandesal with different kinds of spread, such as butter, peanut butter, and fruit jam. 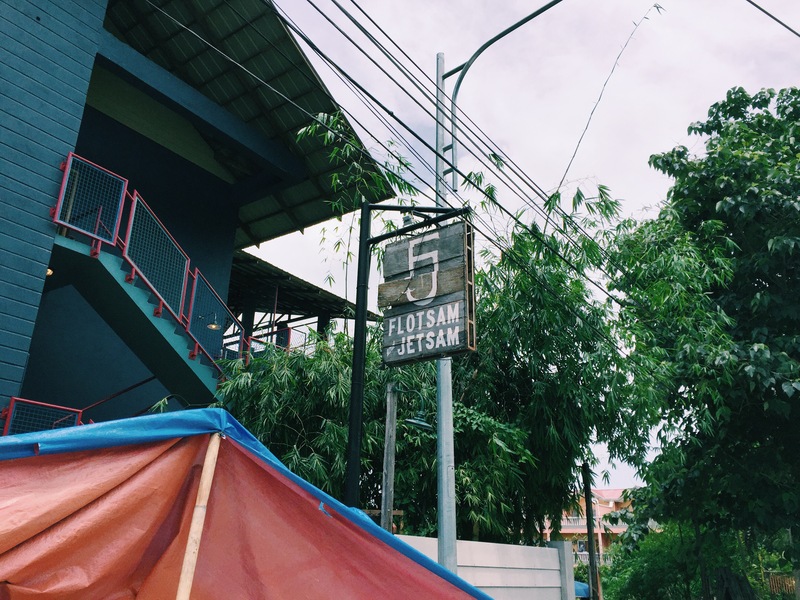 I didn’t buy anything from Flotsam & Jetsam’s restaurant because the menu is ridiculously expensive. I don’t mind indulging a little but this is not one of those times. 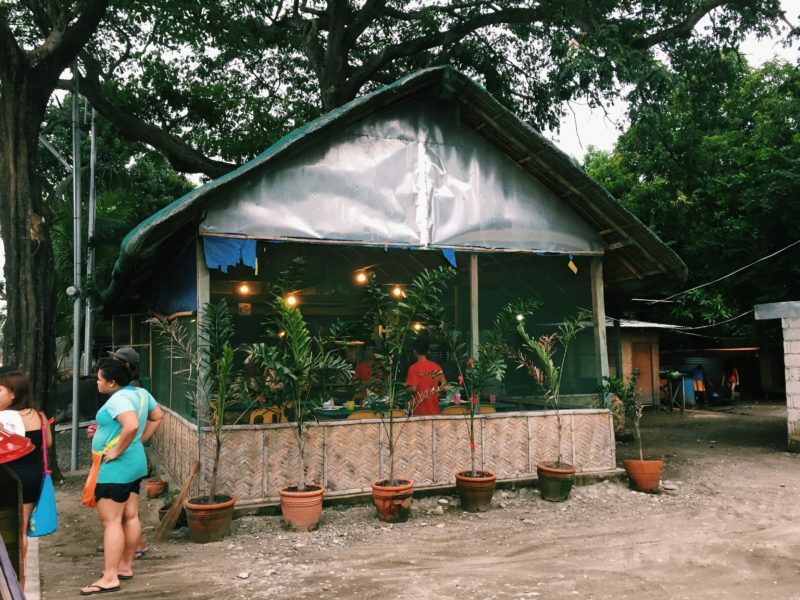 I talked with some locals and they recommended this bulaluhan place that is cheap but offers delicious food. I went out some time in the afternoon to search for it. 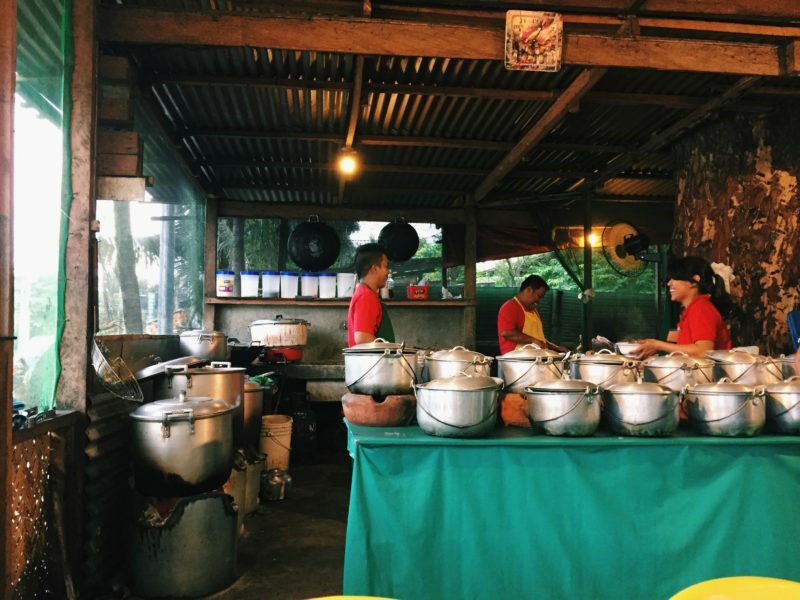 Nice Eatery offers is a no-frills restaurant on the side of the road whose patrons are mostly the locals especially the jeepney and tricycle drivers. It offers home-cooked meals and there are a lot to choose from. I ordered bulalo because it’s what I came for. 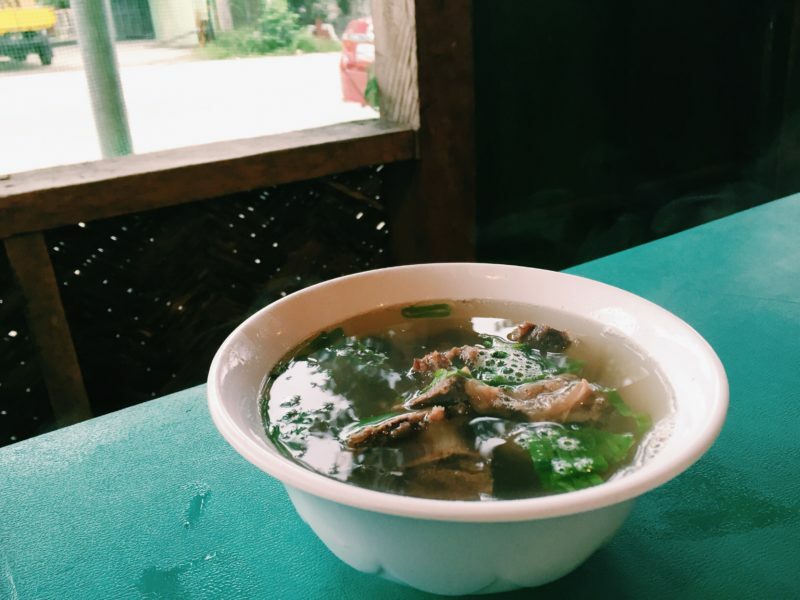 Admittedly, it was not the best bulalo I’ve ever had but for only PHP 50 (USD 1.07) I had a hot-filling meal so I’m not complaining. Tip: The minimum jeepney fare in La Union is PHP 8 (it’s only PHP 7 in Manila) and I found that the drivers are not consistent with how they charge the passengers especially if they noticed that you’re not from around the area. For example, going to the bulaluhan I only paid 8 bucks but when I went back to Flotsam & Jetsam I paid 11 bucks. I suggest that you just pay them the exact amount; it’s only 8 pesos going to and from Nice Eatery. 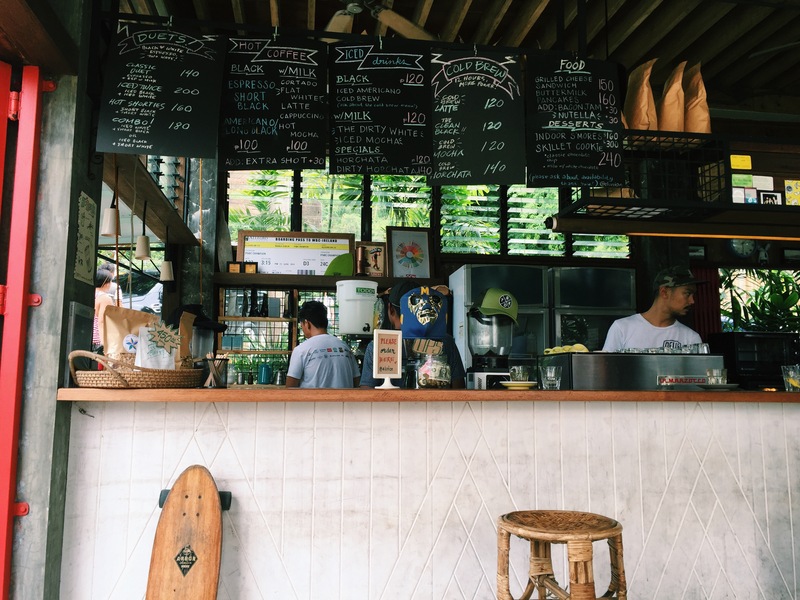 There is a hip café in San Juan that the surfers frequent and it’s called El Union Coffee. 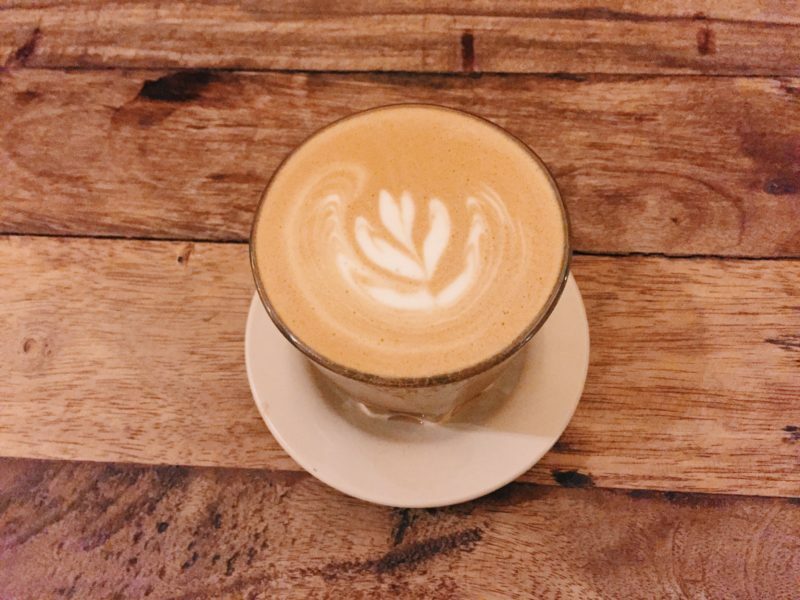 The best thing about it, they serve specialty coffee so you can be sure that their coffee drinks are of quality. Horchata is a cold drink with rice milk, cinnamon, almond essence, and vanilla extract. They call it Dirty Horchata when it has espresso. 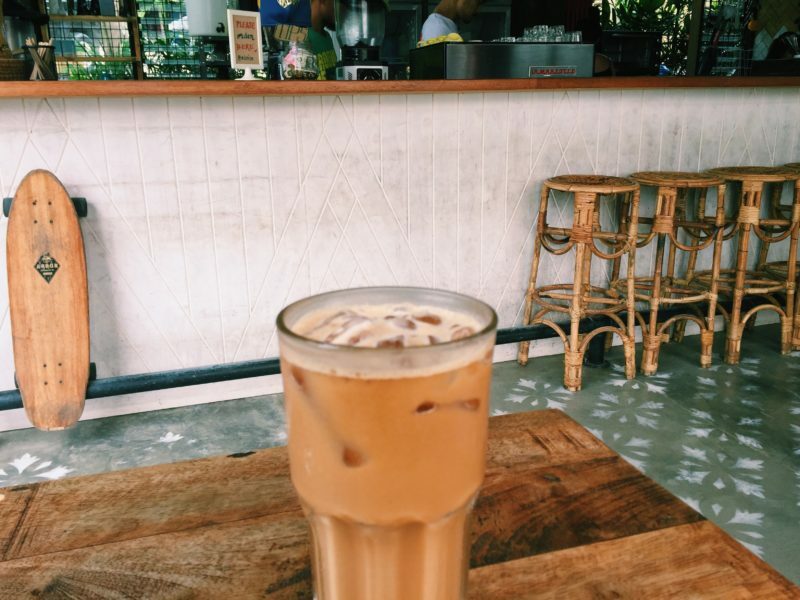 There is something unique to the taste of this drink that separates it from any of the iced coffee drink that I had before. It was nice but could use more espresso. Somehow the rice milk dulled the coffee flavor. But it was refreshing, which is just what I needed that hot afternoon. 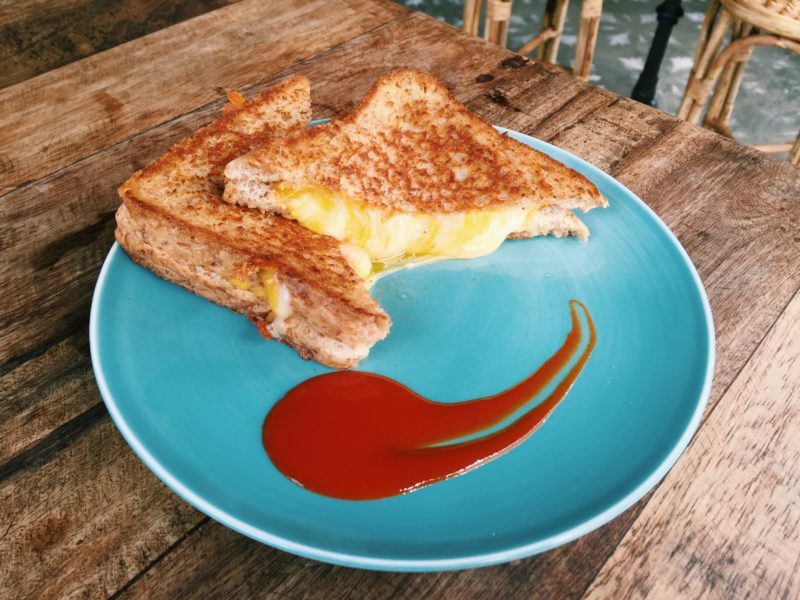 The grilled cheese came with Sriracha sauce. Why would anyone put this red hot sauce in a cheese sandwich?! Beats me, but I tried it anyway to see if they are on to something and apparently, they are. For some reason it works, the sauce did something to enhance the taste of the sandwich that I finished the sandwich in no time. At night I went back to El Union after realizing I didn’t want to get wasted at Flotsam & Jetsam. I ordered flat white and contemplated about buying their bestseller, s’mores but eventually decided against it. After a restless night due to so much noise that was coming from the all-night partying at Flotsam & Jetsam’s resto, I got up at around 6 for a morning stroll by the beach. The sand in San Juan beach is of dark gray, coarse grained, but not rocky. I spotted a few tents by the seashore, apparently, camping is allowed. The waves, though not that strong had enough force for a sole surfer to play with. I watched him ride the waves several times, but the waves weren’t so impressive, it didn’t allow him to get that far. I tried surfing for the first and last time in Baler a few years back, it was fun but not something that I would want to do seriously. It was just one of those things I had to try at least once in my life. Hence, I was just happy watching the others do it, I had no plans whatsoever to go surfing in La Union. There are a few cottages by the beach available for rent. It was still too early I guess for anyone to use it so I was able to stay there for half an hour without being required to pay. I like to describe myself as a beach appreciator than a beach lover in a sense that I just love staring at the sea and the waves, but not really swim in it. In those few hours I had the peace stolen from me last night by the party. Before this, La Union, was just two things to me: one of the best surfing spots in the country and the province you pass by before reaching Baguio. Today, I have found a better appreciation of it; the kind people, the good food, and the quiet beach made quite an impression on me. All in all it has been a lovely birthday weekend. We have the same childhood frustrations, but it’s time to take our bag and travel. Anyway, I didn’t know La Union is one of the best surfing spot in the Philippines maybe because I’m not a beach lover or anything, but I love the serenity of the place though, it really appeared on how you write and on your photos as well. I’ll surely penned this on my bucket list. I love reading a about new and interesting place like this. It makes me want to travel more! The beach looked lovely; the perfect place for your early morning walk. 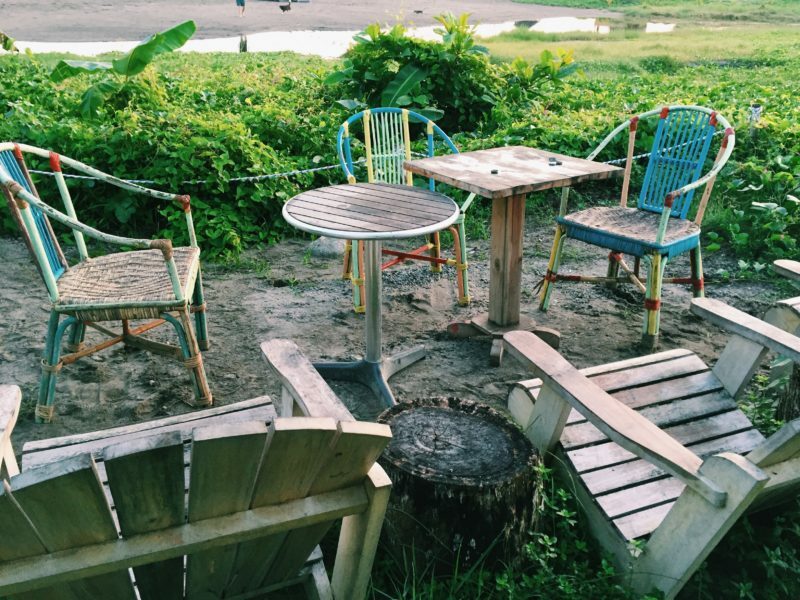 I still haven’t tried traveling solo, but now I’m inspired. 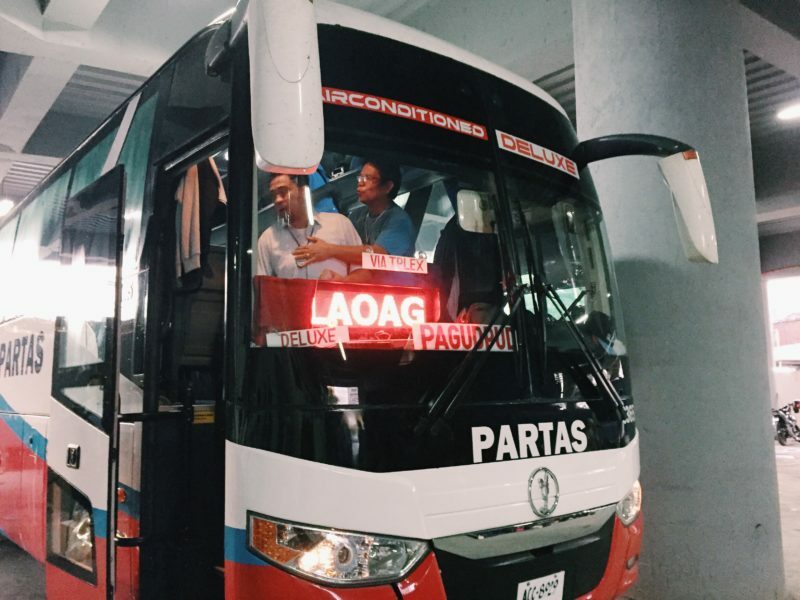 It looks fairly easy to go to La Union with the Partas bus. 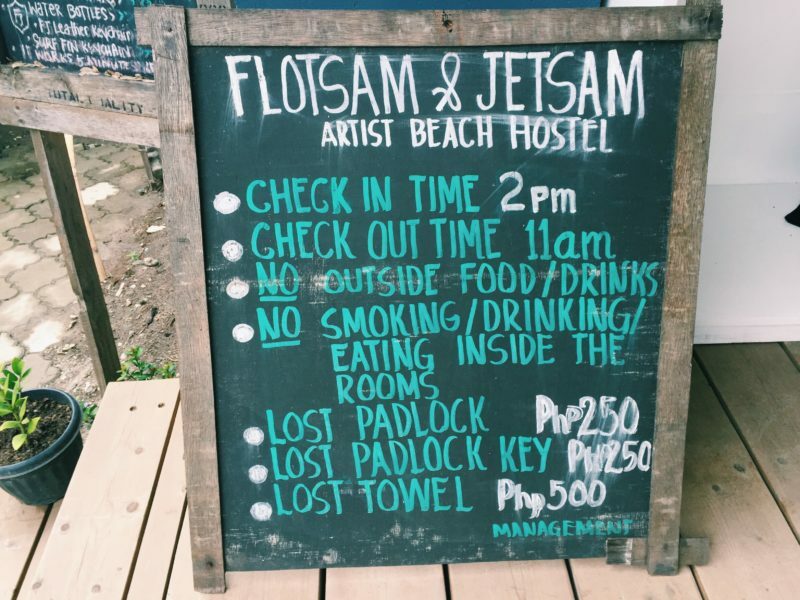 I, however, don’t think I can sleep at Floatsam & Jetsam if they hold parties at night. I’m a light sleeper so I would have to look for another accommodation. Thank you for this guide. It certainly is helpful. I went in La Union 2 years ago with highschool friends. We really didn’t do much, just ate seafood and drink beer at the beach while watching people surf. Back then I didn’t know about all these hip resto and resorts. Btw, I’ve always admired the way you write and how you don’t sugarcoat things. 🙂 I feel that’s rare in travel bloggers nowadays, who more often than not build up hype rather than tell their experience like how it really is. What an amazing travel guide! In my opinion solo traveling is such an amazing thing to do. It really brings you closer to yourself. I think its amazing that you push yourself to meet new people and explore new things. The pictures in this post are gorgeous! Hey Marjorie, This looks like a lovely spot that doesn’t get a lot of press. I was a bit confused as to which country it was located until you mentioned PHP. Then I realised it’s in the Philippines. Which part of Philippines is it in? Hi Christina, La Union is on the island of Luzon, Ilocos Region. Very informative post on the place, adding it to my list just in case I get to that part of the world. The eatery pics are most tempting. I am curious how you added the slide show of 4 pics in the blog at several place. 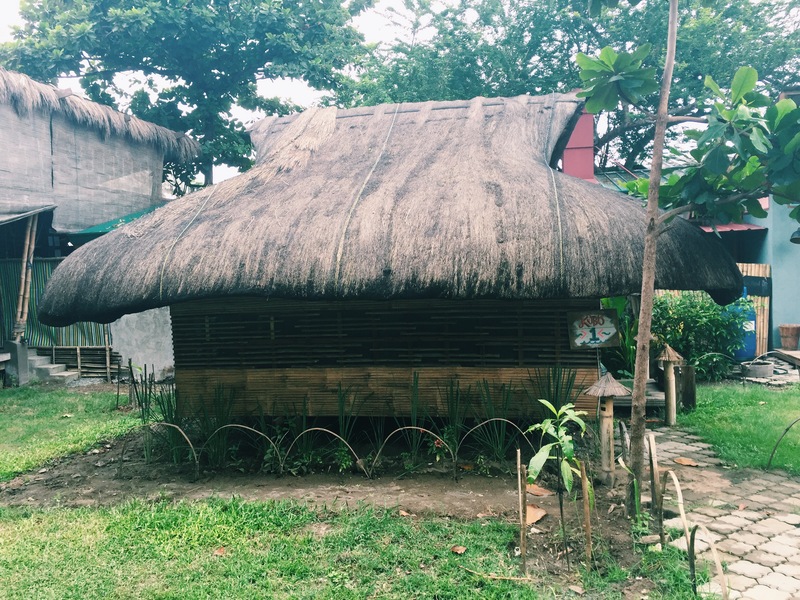 Didn’t know much about La Union, thanks for this post… Though I only know how to speak their language-Ilocano. 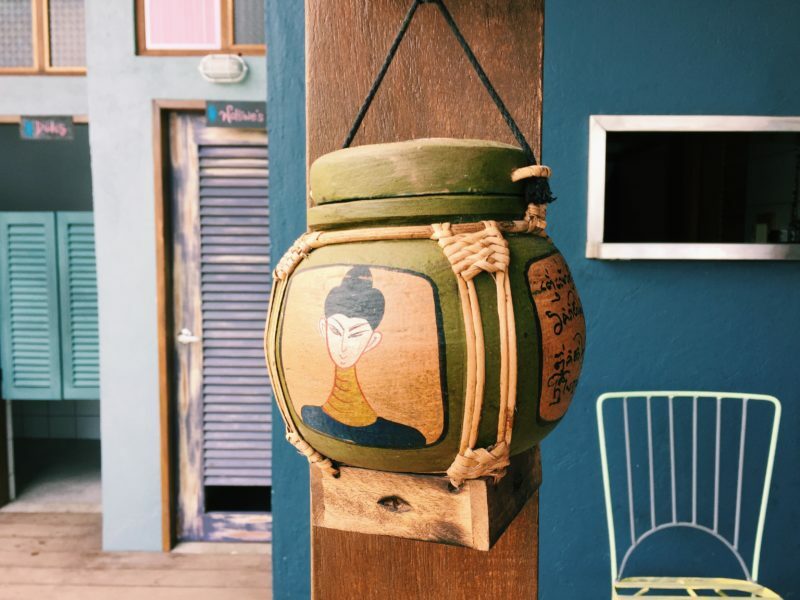 This is a very informative (and inspiring) travel post! Bookmarking this for my next trip! 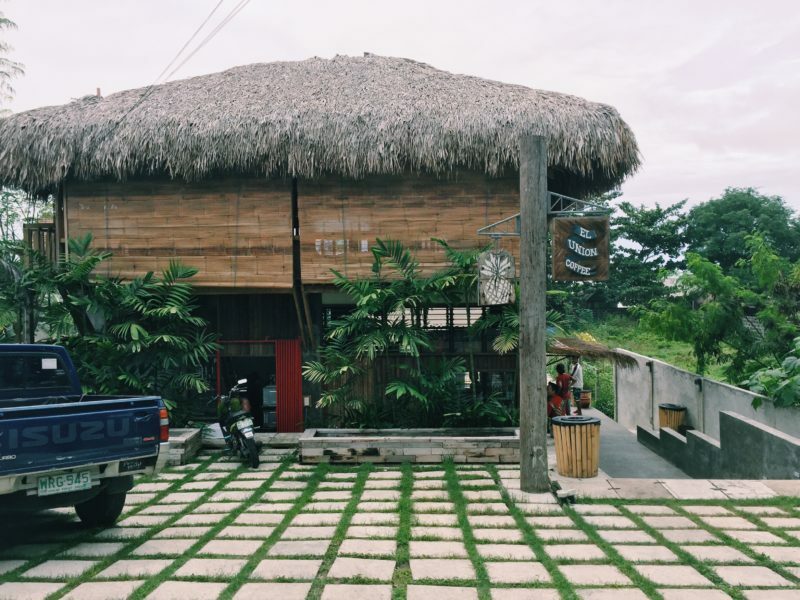 I believe that El Union Coffee is one of the best places in LA Union! Thanks for all the tips! Hi Marge! It’s great that you went to LU. I’m itching for the beach as well. La Union is one of those places where I can also go alone. The surfing, the vibe is just awesome. It almost feels like a community already. Wonderful! I’ve always wanted to try travelling alone but with my zero sense of direction I might just encounter a lot of problems…. and well I ain’t got budget yet, but even if I do I’d still be scared. 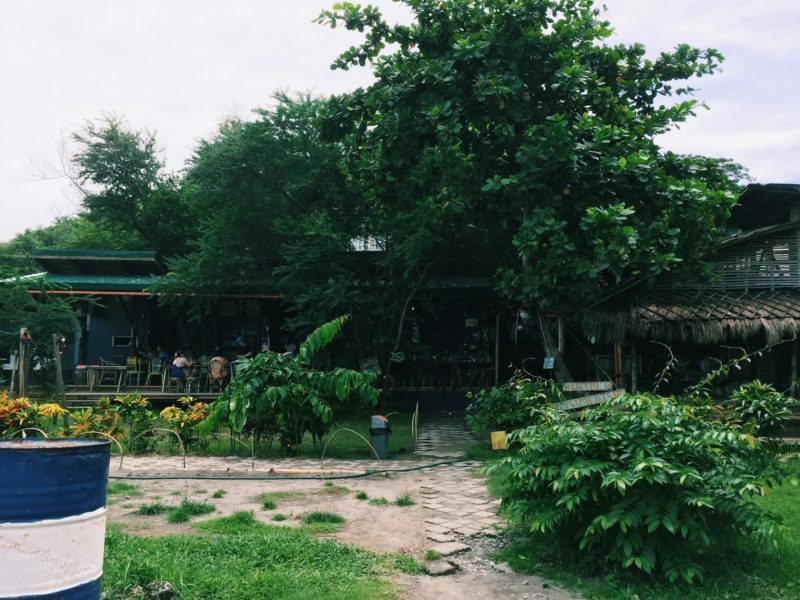 I’ve never been to La Union, even though I have relatives living there… The place you stayed looks cozy and homey. Looks fun too. Thanks for the photos. I haven’t visited La Union, although was able to have a super quick stop last two years ago but never get the chance to stroll the place. 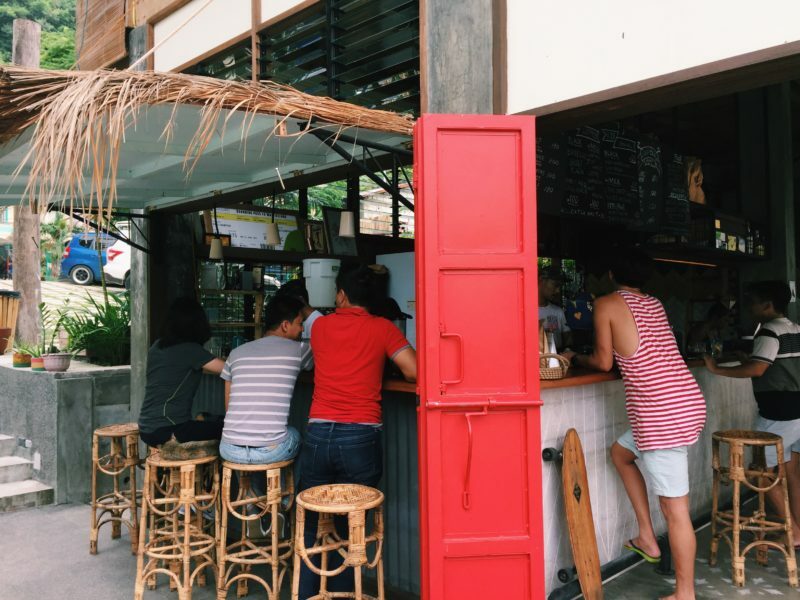 I like the Filipino ambiance of Flotsam and Jetsam, shouldn’t be missed then when I will have the chance to visit La union. And of course, I noted about El Union coffee, I’m a huge coffee lover. 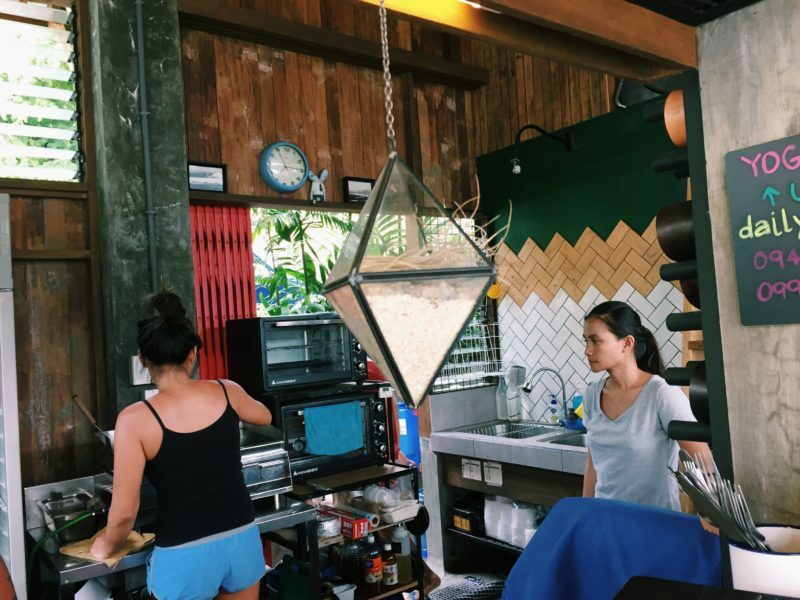 I used to want to go to Flotsam and Jetsam but after reading your post, I’m having second thoughts haha. 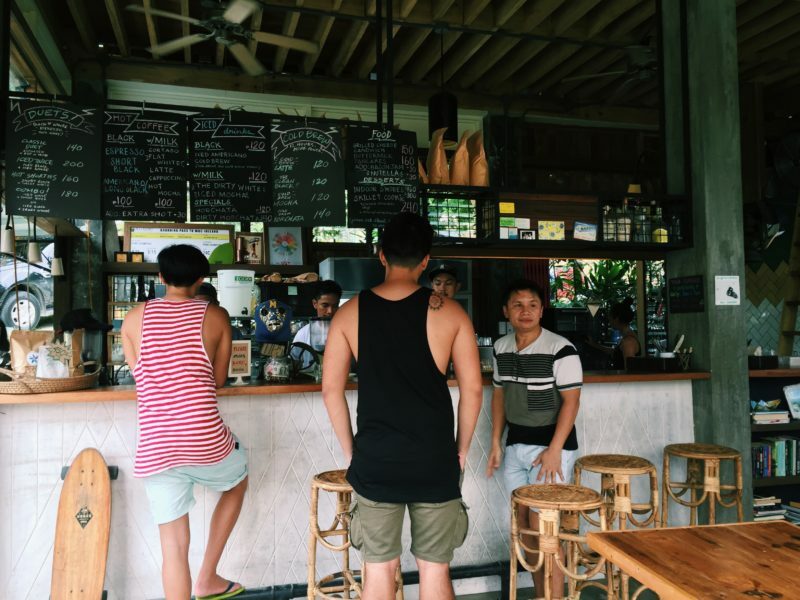 I will surely also eat in the restaurants you mentioned especially El Union coffee. Looks like they’re definitely worth the try! Seems like a nice place to travel to. I will definitely consider going there on my next trips. Travelling the Philippines has always been a dream of mine. This will definitely be on my bucket list. It’s definitely a great way to celebrate. I have always wondered what La Union is like since it’s the next attraction after we drove down to different parts of Pangasinan. We didn’t make it past Bolinao. 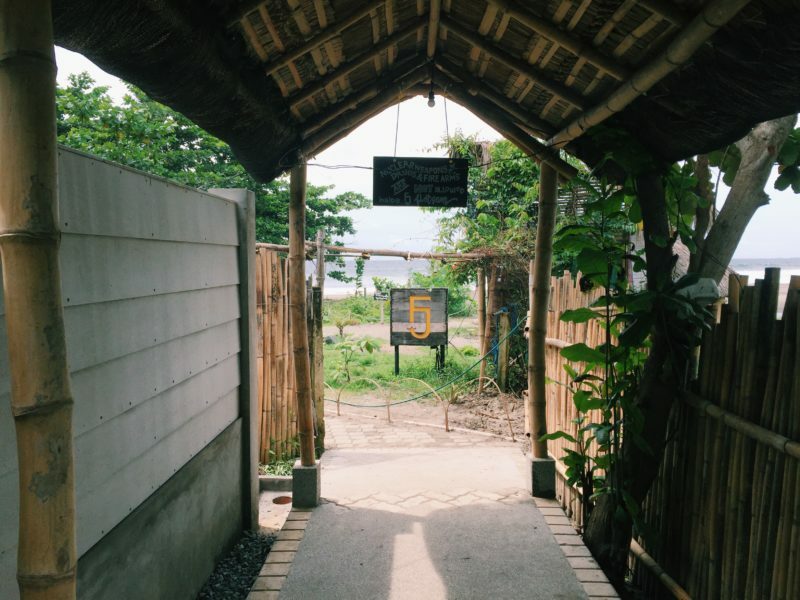 Reading your post makes me want to travel up north again one day and spend a few days in La Union. Oh La Union! It’s another good place to discover in the northern part of the country. Awesome beach! It’s a nice place to visit for beach lovers. Thank you for sharing. I have not heard much about La Union. Sounds like an easy enough place to get to if you want a beach adventure. Too bad about all the noise. It is so hard to enjoy your vacation without having a good night’s sleep. Sounds like you made the most of it though and had a great birthday anyway. La Union. I watched Drew Arellano’s BWD program that featured the place. It’s a must visit place indeed and knowing how you went there alone, is one of the best part, for me. 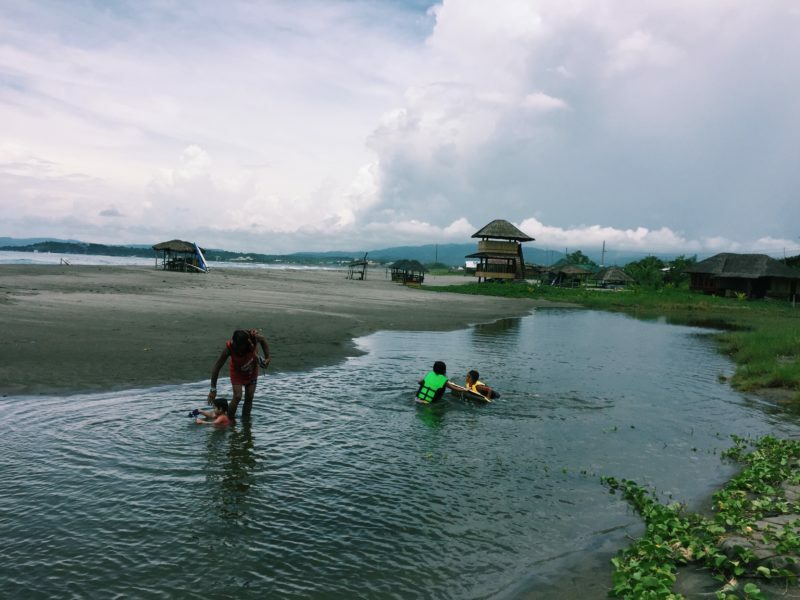 I love the Kubo, it’s so province. 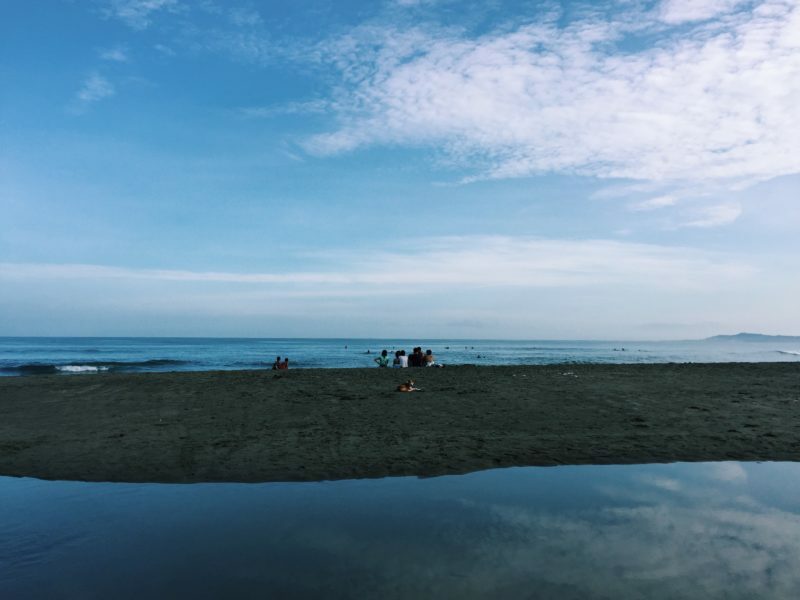 La Union is another lovely place that you have introduced. It seems to be unique and have its own character. So one more place to add to the already huge list of lovely places in the Philippines. 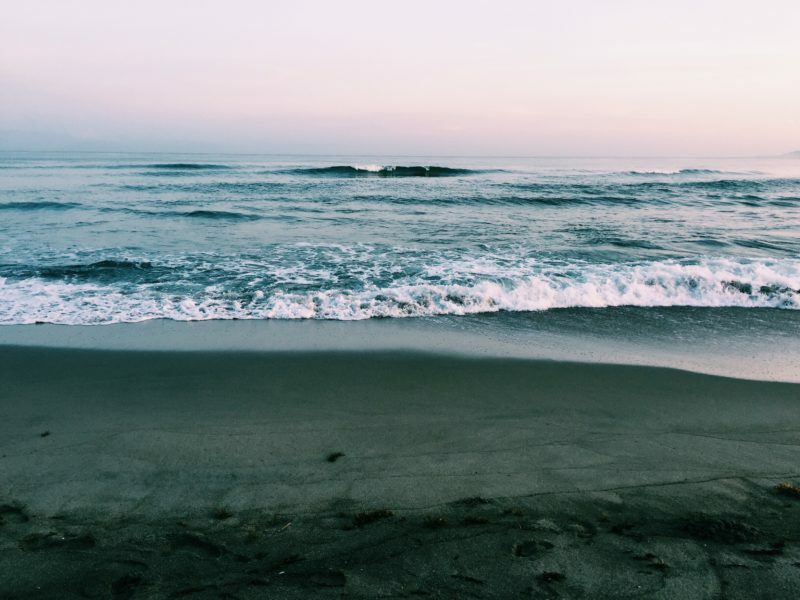 I hope you get to visit La Union too, Melai. I went there couple of years ago and had intended to use some great sunset pics I took while there. I didn’t stay in the same place as you did though. I just sort of drove around and wherever I fancied, I stayed. I spent a few days soul searching so San Juan will always be a part of my rebranding as a person. The place is indeed, conducive for reflection. The beach is peaceful. 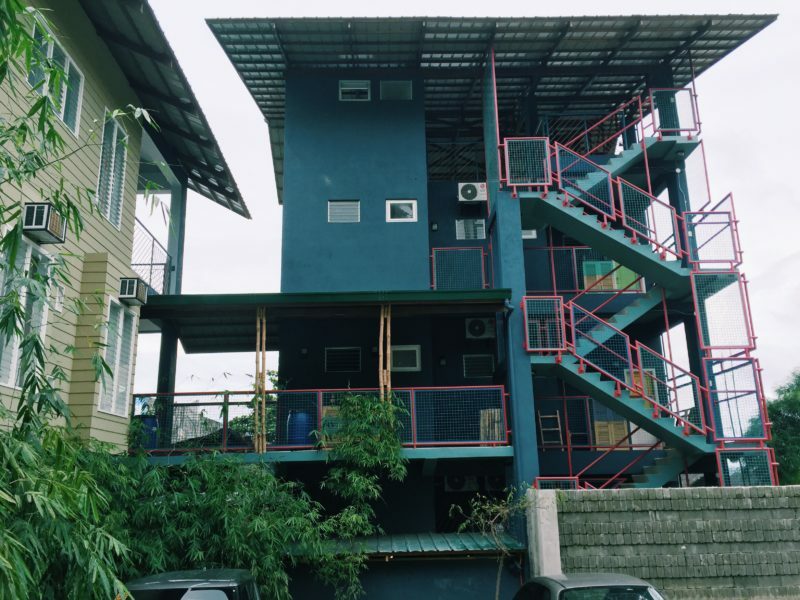 Havent tried that kind of kubo accommodation. Must be fun and really something new to try. Been to La Union twice and both were so memorable. 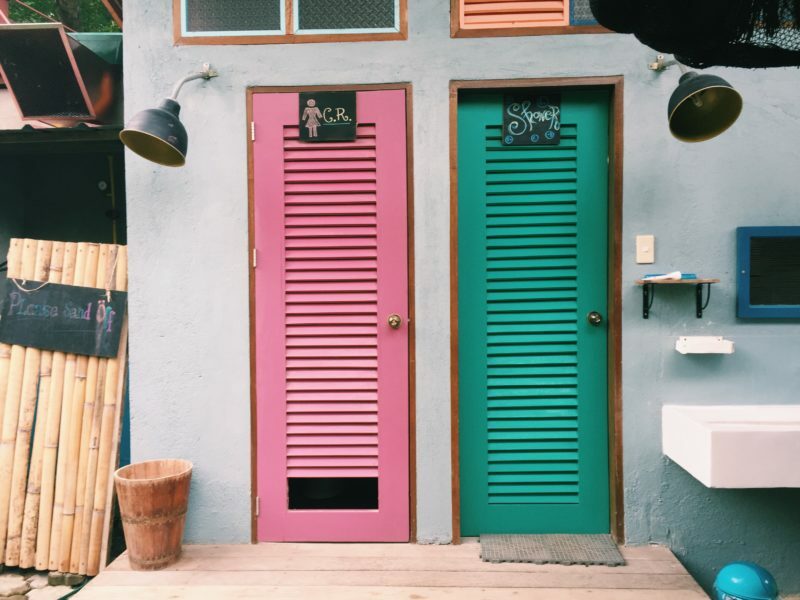 Youre right, La Union not only prides itself with its surfing waves but of its amiable locals, delightful delicacies and beautiful landscape. True, that’s why I want to go back and explore more of the province. That sounds like a great way to celebrate your birthday. I’ve sometimes gone away for the weekend on my birthday–to Boston or Washington DC and it’s been fun. I would most like to try that hipster cafe. The cheese sandwich sounds delicious! That sandwich is a must-try. Funny how our thoughts and wishes change with age to a certain degree. We reevaluate where we find happiness and it seems us with wanderlust find it while traveling! Sounds like a perfect solo birthday weekend. Happy Birthday! You are right Angela. It also amuses how I used to obsess about some things when I was younger but now they no longer mean anything. Thanks! I’ve never been to La UNion before. And to be honest, just like you know knew a few things about it before, I have to say I know nothing about La Union. I didn’t even know there’s a beach there, that’s really cool! 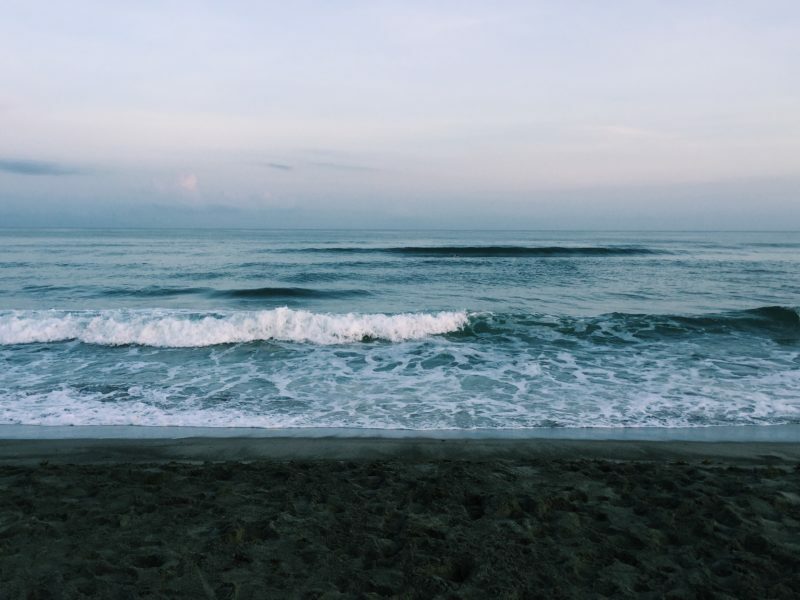 I wish I could visit La union someday, with my loved ones. The beach is not white sand but it’s beautiful nevertheless. The waves are strong so it’s a popular surfing spot. Made me feel that urge to travel once more! Yeah, I have to agree with you that I only know La Union because it’s a province you pass by if going up North (e.g. Baguio or Ilocos). Plus, I haven’t visited it for quite sometime now. Plus, what I love about traveling to provinces is that the vibe is always different depending on the area. For me, I see traveling alone as a milestone and I admire you for doing it. Congrats! Maybe that’s the charm of La Union really, is that people are familiar with it but they don’t really go there and once they do the fall in love with it. Great trip. the coffee bar looks very nice! I love coffee. Just had a nice special mocca banana coffee yesterday. The Horchata sounds very nice as well. I love to go to the beach. Beautiful pictures. Visited La Union last when I was still single. Went to that beach also. I had nice memories in that place. El Union Coffee is owned by my friend Martine’s brother. Ooh, I think I’ve seen the owner although I can’t be too sure. Did you see him in the video that I put here? Yeah, I travel solo sometimes, and I find it to be much more fulfilling than traveling with a group.